Grandparents in Castlebar have established a branch of the newly-formed Catholic Grandparents Association in the town.This follows an historic meeting in Westport two weeks ago which led to the formation of the first-ever branch of the Association anywhere in Ireland. The Association, which has grown out of the popular National Grandparents Pilgrimages in Knock Shrine over the last three years, is now beginning the task of building branches around the country. The Castlebar branch of the Catholic Grandparents Association was formed at a meeting in the Traveller’s Friend Hotel, Castlebar, on Tuesday night, October 27th. The next meeting will take place on Thursday, November 12th, in the Monastery, at 7pm. A number of ideas were discussed at the Castlebar meeting, including a special Mass for Grandparents and Grandchildren. It is hoped this Mass will take place in the coming weeks. “The Catholic Grandparents Association seeks to support grandparents in every way it can, and also assist them in their very important role of passing on the faith to their grandchildren,” said Association founder Catherine Wiley, who lives in nearby Murrisk.  Fr John Cosgrove, PP, attended the meeting and said he felt the organisation had “great potential”, both locally and throughout the church.